KHP holds 12-Step Meetings which welcome active participation! Wednesdays — 5:30-6:30 PM AA– Alcoholics Anonymous meeting open to all who are in need of a meeting. Saturdays — 5:30-6:30 PM AA -Alcoholics Anonymous meeting open to all who are in need of a meeting. First Saturday of each month: 5:00-6:30 PM ‘Eatin’Meetin’ – A family welcomed potluck followed by an AA meeting. For more information on Al-anon or other local Alcoholics /Narcotics Anonymous meeting times, please call us. Twelve-step programs have long been an important part of the recovery process and the basis for many recovery programs. Developed over over 67 years ago by a small group of alcoholics, the AA program provides simple tools for living based on a set of spiritual principles and a reliance on the fellowship of men and women who share their experience and offer their support as part of a lifelong process of recovery. This approach has since been adapted for the treatment of many other addictions, and now includes other self-supporting fellowships such NA. A twelve-step program for people in recovery from alcohol abuse. The site provides an online list of central offices and groups in the U.S. and Canada, meeting contact information, a description of the 12-steps and traditions, a listing of AA literature and a bulletin board. Some drug addicts prefer AA to other groups as they consider alcohol to be a drug. 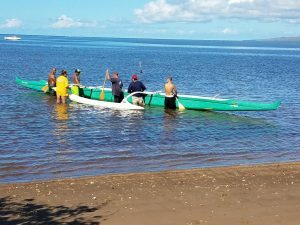 There are 6 AA meetings on Moloka’i! This twelve-step recovery program from addiction to drugs is based on the Alcoholics Anonymous model. The site provides basic information on the program, help lines, coverage of NA events and news, reports, recommended books, audio tapes, videotapes and information on how to start a meeting. Under Regional and Area Links, there is an online meeting locator listing registered NA meetings in the US and 35 countries worldwide. 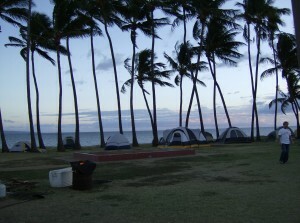 There are 5 NA meetings on Moloka’i. Al anon Family Groups http://www.al-anon.alateen.org At Al‑Anon Family Group meetings, the friends and family members of problem drinkers share their experiences and learn how to apply the principles of the Al‑Anon program to their individual situations. They learn that they are not alone in the problems they face, and that they have choices that lead to greater peace of mind, whether the drinker continues to drink or not. Sponsorship gives members an opportunity to get personal support from someone more experienced in the program. These relationships are voluntary. Members ask another member to be their Sponsor when they believe that person will be suitable as a mentor in applying the program. The Twelve Steps, the Twelve Traditions, the Twelve Concepts of Service are Al-Anon’s three Legacies. The spiritual principles of the Al-Anon program derive from these Legacies. Yes…There is an Al-anon meeting on Moloka’i. Just stay in the boat- sobriety is awesome! Lists TTY equipped 12 Step offices available and other AA offices that rely on relay service for interaction with the Deaf. Information about ASL-interpreted AA meetings can usually be provided by local AA central or intergroup offices listed in the phone book. If there is no local AA office, the Alcoholics Anonymous General Service Office keeps an updated list of over 580 United States and Canadian AA central offices. All Addictions Anonymous focuses solely on the 12 step program and how to work the steps. They allow only brief personal sharing about “war stories” in order to illustrate patterns of addiction and do not explore psychological issues. The program connects suffering addicts to recovered addicts who guide newcomers through a personalized one- on-one study of the original 12 step program described in the Big Book of Alcoholics Anonymous. The program is open to people with any addiction. Go to the Contact Us section and leave a confidential message on their 24 hour pager: 416-468-8603 or send an email. You will be contacted and connected with someone in your area or arrangements will be made to get you help by phone. This twelve-step program is for people in recovery from cocaine and other drugs. The site describes the twelve-steps and traditions and provides a self-test, a meeting starter kit and CA literature. Under “Local Phones & Links”, referral phone numbers are listed by state in the US, with contact numbers provided for Canada, the UK and the Netherlands as well. To participate in online meetings click on “Online, all locations” at the end of the referral list. This twelve-step program is for people in recovery from crystalmeth amphetamine and other related drugs. Based on the twelve-step model, the web site includes basic information on the CMA fellowship, the Twelve Traditions, CMA meeting schedules and information on how to start a meeting. Marijuana Anonymous uses the basic 12-step recovery program founded by Alcoholics Anonymous. Their web site covers the 12-steps and the 12-traditions, online pamphlets on various aspects of marijuana addiction, a meeting directory by geographic area and a list of online meetings. A twelve-step program for people using methadone in recovery from opiate addiction. The site provides an online meeting locator by state, methadone discussion lists, online meetings, a Methadone News section, a description of the 12-steps and traditions, and information on HIV, Hepatitis C and buprenorphine. Nicotine Anonymous is a 12-step fellowship program based on the recovery program of Alcoholics Anonymous. Their web site has a meeting locator by state or country and online information in English and five other languages. This web site is geared to the needs of those recovering from prescription drug addiction. It features daily meditations, detox information, 12-step traditions and tools, recovery stories, and a chat room and message board. Recoveries Anonymous (RA) is a recovery fellowship that uses the 12 steps for a “Solution Focused Program of Recovery.” It welcomes anyone with any kind of problem or self-destructive behavior including family and friends and those who are looking for spiritual growth. The goal of RA is to “restore one’s sanity”, not simply to remain abstinent. It is especially for people who have not been able to solve their problems or stop their self–destructive behavior or those who are not happy with their life, their serenity, or the extent of their recovery. Their web site provides background information on their approach as well as a meeting locator and information on how to start a group. This site on 12 step recovery presents both the complete audio version (in streaming audio) and text version of the original book “Alcoholics Anonymous” book written in 1939, the basis of all the 12-step programs.